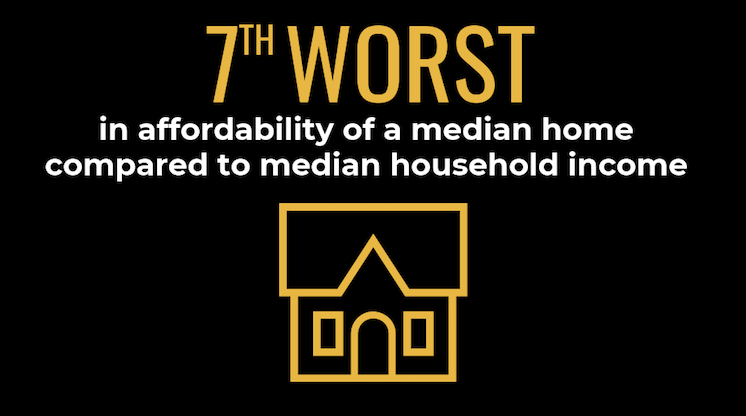 Study: Can Colorado Middle Class Families Afford Middle Class Life? 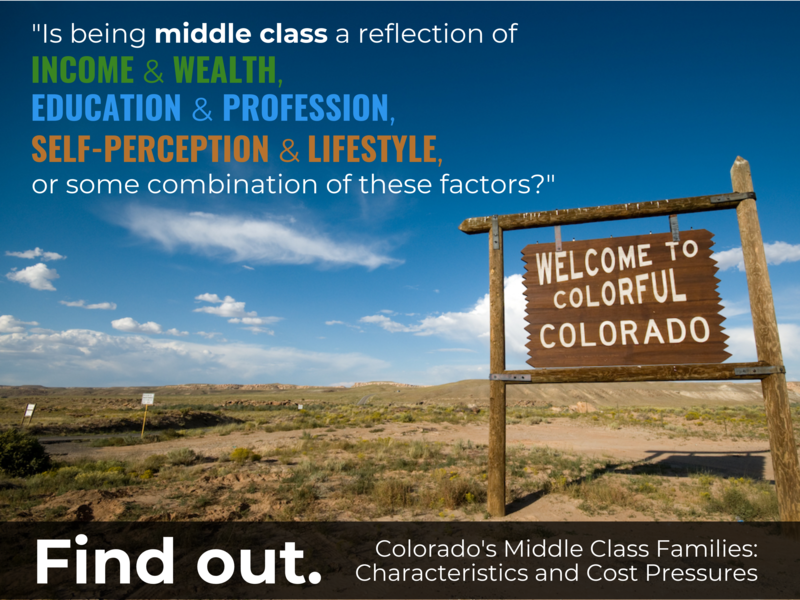 As one of the country’s only state-specific studies on middle class makeup and health, “Colorado’s Middle Class Families: Characteristics and Cost Pressures” shows the share of families classified as middle income has declined since 2000 and at a rate higher than the majority of the country. Using hypothetical budgets with “aspirational” costs (including homeownership or rental housing, health care, automobile ownership, retirement savings, college savings, and vacation), the report shows living a middle class lifestyle may not be as simple as earning a middle income. In fact, the middle class shrinks substantially when defined by being able to afford these “aspirational” costs — costs that were once mainstays of a middle class life. These dynamics are playing out across the country, but what’s happening in Colorado is a unique cautionary tale for our entire nation. Here, we see a befuddling contrast of a top economy with a shrinking middle class. 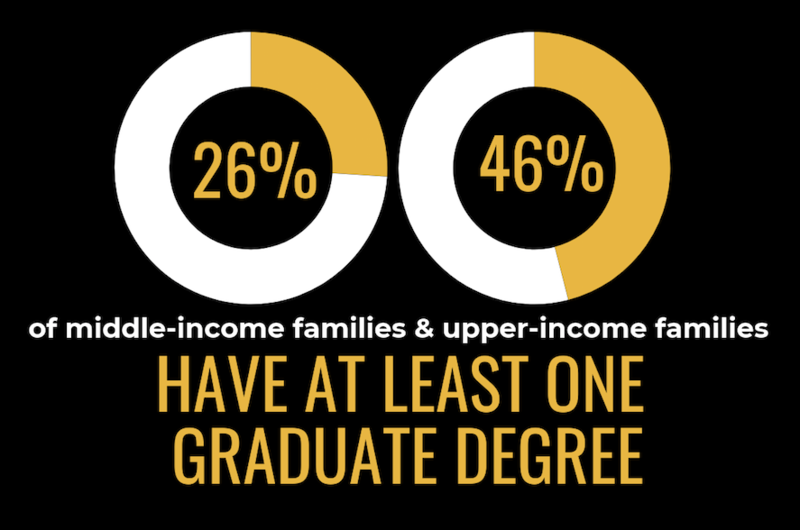 This report gives us the facts to address that disparity and ensure economic mobility for every Coloradan. 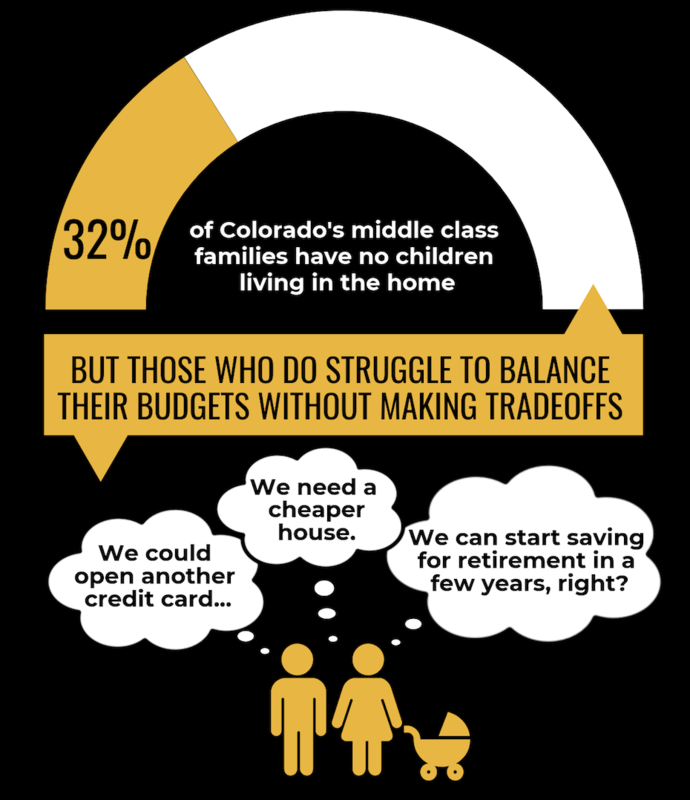 Read the full findings and learn what’s holding Colorado middle class families back from living a middle class lifestyle. The study was commissioned by the Bell Policy Center with support from The Colorado Trust and prepared by University of Colorado Denver’s School of Public Affairs. Support the Bell Policy Center with a donation. Whether it’s $5 or $500, donations like yours make work like this possible. With your help, we can transform Colorado into a state where everyone thrives.